Our All Natural, Organic and Kosher Cacao Butter naturally contains essential fatty acids that are beneficial to the skin. Cacao Butter may be used in a variety of cosmetic, toiletry and pharmaceutical applications to reduce cutaneous dryness and improve skin elasticity. All Natural Source: Our All Natural Organic and Kosher Cacao Butter is obtained from the fruit of the Cacao tree (Theobroma Cacao). Cacao Butter is extracted from the seed kernels which are cold pressed to extract the oils. Our All Natural Cacoa Butter is Certified Organic and Kosher and sourced from the Dominican Republic. This is a relatively hard butter with a steep melting curve, making it ideal for body care products. 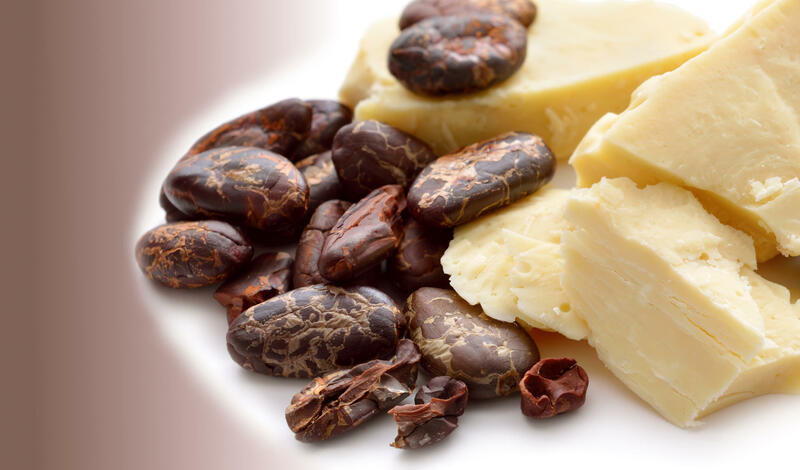 Cacao Butter naturally contains essential fatty acids that are beneficial to the skin. Cacao Butter may be used in a variety of cosmetic, toiletry and pharmaceutical applications to reduce cutaneous dryness and improve skin elasticity. Cacao Butter is an emollient that has been used for centuries as a skin care product. Cacao Butter has been used to heal and moisturize skin that has been exposed to harsh conditions. Cacao Butter also helps reduce the formation of stretch marks during pregnancy by keeping the skin supple. Please note that these are only suggested usage rates. Each formulation is different and you must test in small batches to find the percentages that work best for you. Always start by mixing in a low percentage, then gradually add until you reach your desired result. Melting Profile: Melts and solidifies rapidly and with minimal graininess or bloom. 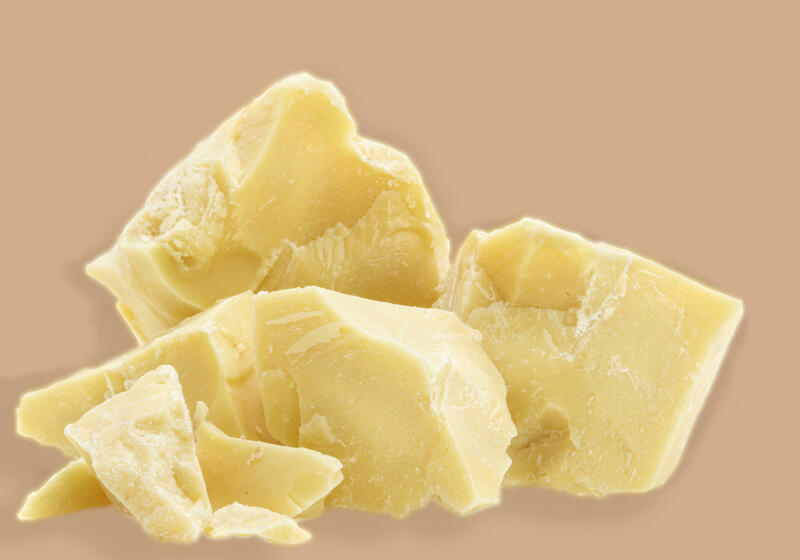 This caliber of Shea Butter is excellent for soaps, lotions, bar lotions, creams, body butters, and other formulations.